VANCOUVER — An art exhibit in downtown Vancouver’s Angst Gallery is taking the concept of farm-to-table to a new level. 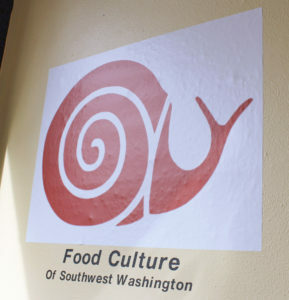 “We have some really great farms in Southwest Washington and we thought this would be a good way to get the word out, especially about the farms in the rural areas,” explains Warren Neth, executive director of the group Slow Food Southwest Washington (SFSW). 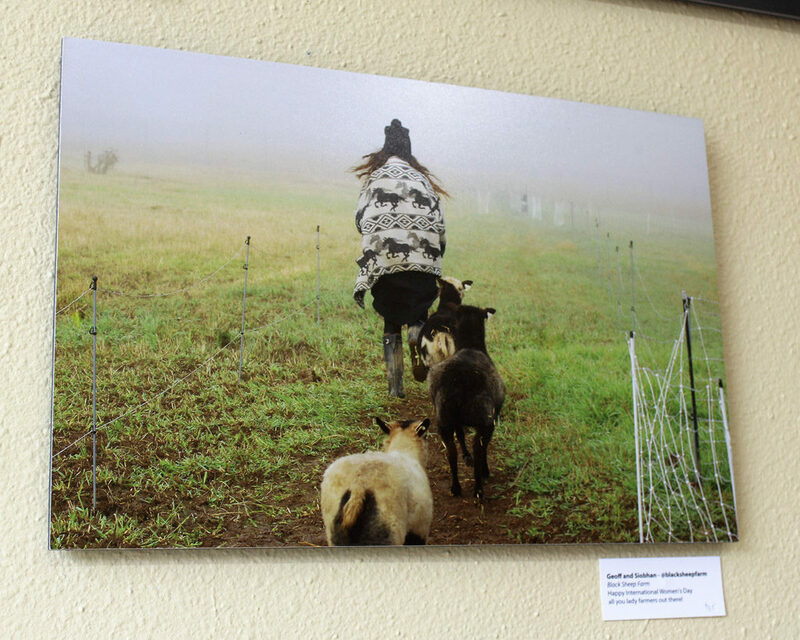 The art show, a fundraiser for SFSW, features photos submitted by local artists, photographers, farmers and foodies that feature the farms, foods and food culture of Southwest Washington. The show runs through Oct. 29 at the Angst Gallery, 1015 Main St., in Vancouver, but the photos are available for sale online, in a range of sizes and for a variety of mediums, through the end of the winter holiday season. 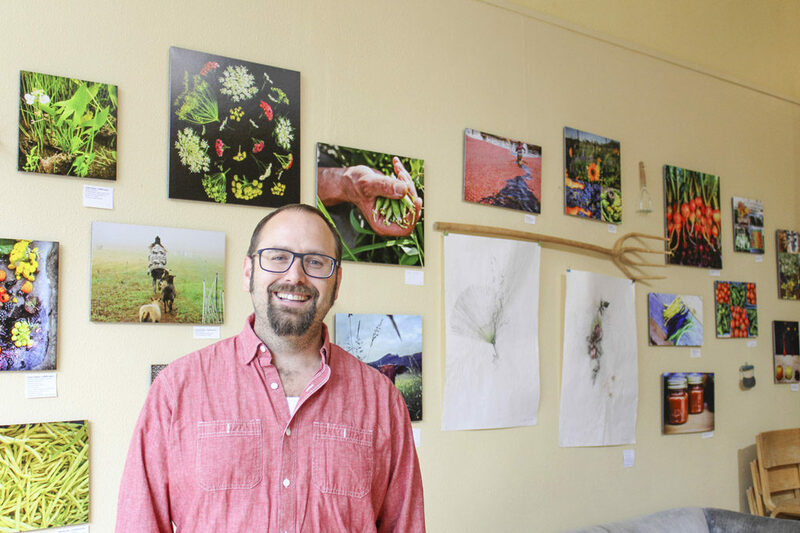 Neth, a Ridgefield native who grew up on his family’s small berry/vegetable farm and found the slow food movement after a decade’s worth of restaurant work left him wanting a deeper connection to the land and people who grow our nation’s food supply, says the idea for the Food Culture of Southwest Washington art exhibit came to him one day as he sat in his friend’s living room, looking at food photos on his friend’s wall. 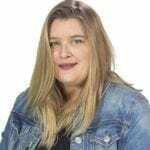 “I realized that this could be a great way to highlight what’s happening right now on farms in Southwest Washington,” Neth says. As the idea for the art show grew, Neth says his focus narrowed. Instead of just highlighting the farms, why not educate people on an even deeper level and show them the various “food regions” in Southwest Washington, Neth explains. Soon, the gallery show turned into a collection of photos from Southwest Washington’s four main food regions: the Estuary, where land meets water and where this area’s shellfish, sea kelp and cranberries come from; the Forest, with its high-elevation pines and lowland oaks, where things like mushrooms, berries and fiddlehead fern grow best; the Highlands, which includes the high and dry plateaus in the Columbia River Gorge near Skamania, where you will find most of the region’s cattle and vineyards; and the Valley, the broadest region with its array of dairy farms, vegetables, grasslands and fruit orchards. As the only paid employee for the local chapter of the national Slow Food group, which seeks to get healthy, local foods to low-income individuals and families as well as help connect people to their food sources, Neth is always looking for ways to help link the general population with the food sources in this area. Instead of seeing themselves as just grocery shoppers, Neth and the Slow Food movement want people to feel more connected, more partnered, to the farmers who grow the food — especially the farmers who grow the food in people’s immediate regions. “It’s hard to get past the idea of food coming from the grocery store aisle,” Neth says. The Food Culture art exhibit highlights many niche farms that operate in Southwest Washington — farms that may surprise people who live in the area’s more urban centers. For instance, there are photos from Allen Creek Farm in Ridgefield, one of only four or five chestnut growers in the entire country, Neth says; photos from the region’s only sea greens harvester, Skipping Tides Sea Greens; and from the area’s only organic cranberry bog, Starvation Alley Cranberry Farms. Dispersed amongst the food photography are other links to the region’s farming present and past, including several old farming tools on loan from the personal collection of Tom Wooldridge, president of the La Center Historical Museum’s Board of Directors and a collector of Clark County historical items. 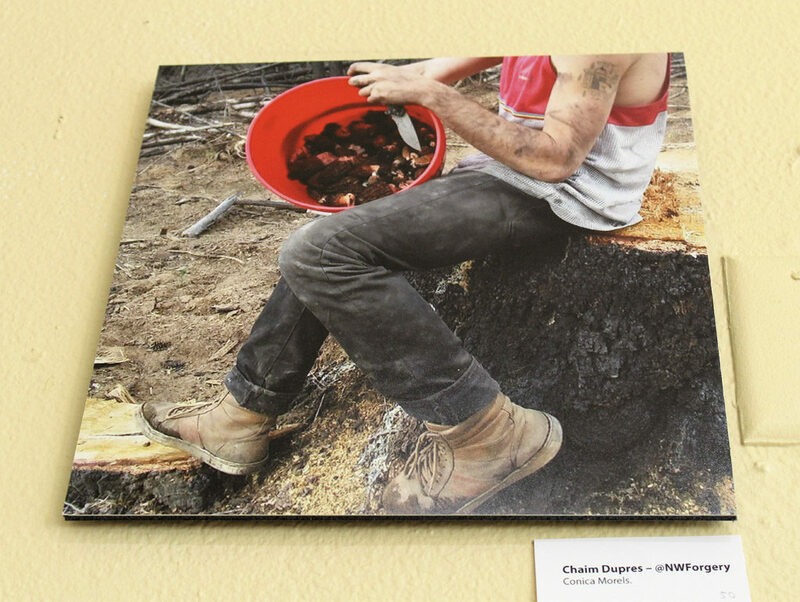 Neth says some of his favorite photos in the show highlight the foraging skills of Chaim Dupres, a young member of the Cowlitz Indian Tribe who is reclaiming a bit of his family’s heritage by foraging for wild edibles like the Wapato tubers that were once a major source of sustenance for Southwest Washington’s indigenous tribes. Dupres sells his foraged edibles to local restaurants and chefs who want to incorporate the area’s freshest, most in-season foods into their dishes, Neth says. Angst Gallery and Niche Wine Bar owner Leah Jackson is collaborating with the Food Culture of Southwest Washington art show by, first, providing space for the photographs through Oct. 29, and also by crafting a cheese plate and house wine pairing each Tuesday night through October, to go with the art exhibits food photography classes. Jackson is also incorporating a few foods from farms featured in the Food Culture exhibit in her Dine the Couve menu, which offers food-lovers a chance to dine at some of Vancouver’s most original restaurants and brewpubs through the month of October for a $23 fee, which includes a fixed, three-part menu. 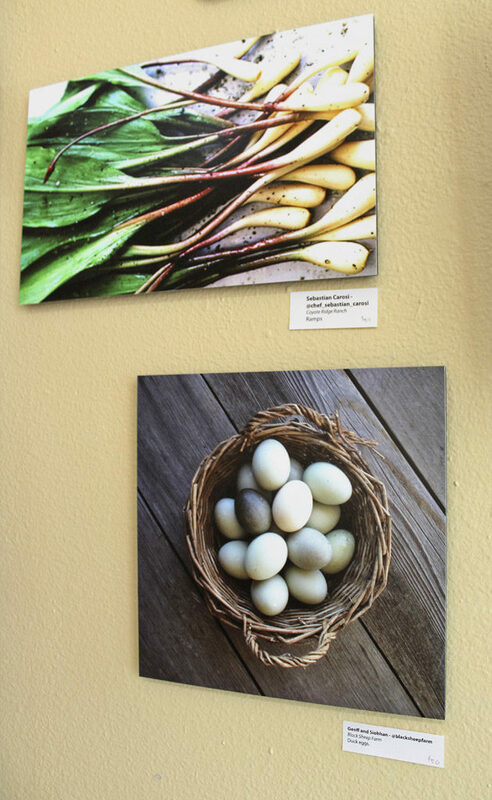 Photos not sold at the gallery during the Food Culture of Southwest Washington exhibit will be auctioned off at a fundraising event for Slow Food Southwest Washington, Taste Renaissance 2016, on Nov. 15. Presale tickets for the fall fundraiser, which features a silent auction, a live auction and a multi-course feast prepared by some of Southwest Washington’s top chefs, are available online through 9 p.m., Sun., Oct. 30. Tickets cost $65 until that time. After Oct. 30, tickets cost $75 each. To purchase pre-sale tickets for the Taste Renaissance 2016 event, click here.